Our local library hosts monthly craft classes, teaching how to make different projects out of discarded books. Since I love books, and also love crafts, I have been really enjoying these! 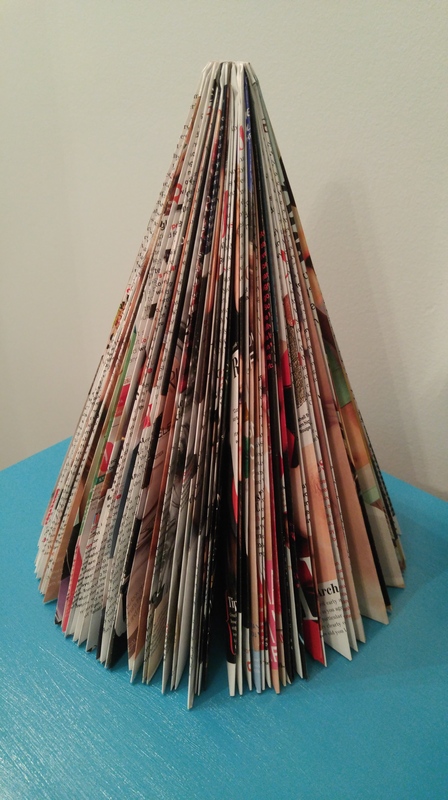 The most recent one was holiday themed, making trees out of paperback books. Unfortunately, I could not attend it, so instead I set out to figure out how to make it myself! Now, I didn’t have discarded books, so instead I used old magazines, which resulted in a colorful, though not as dense, result. 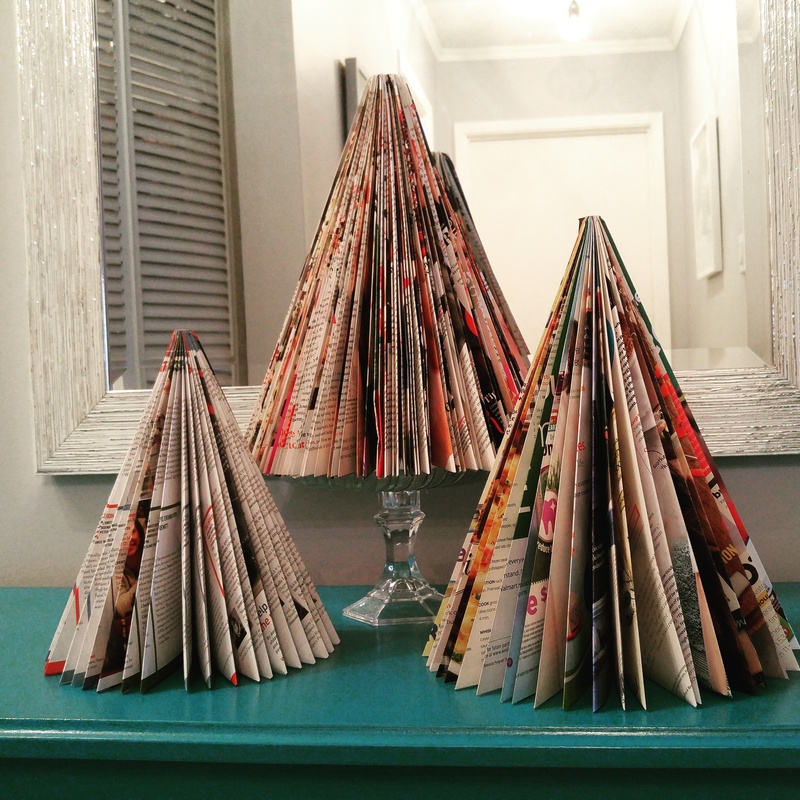 For each page of the magazine, you will fold the top corner of the page down towards the magazine’s spine, then fold again, creating a narrow triangle. Fold the bottom point that is hanging down so that it lines up flat with the edge of the magazine. Although this craft is extremely simple and completely free, it is not quick! Depending on the thickness of the magazine / book you choose, this can take a long time! My recommendation is to do this while watching your favorite TV show, or listening to music or a podcast, and taking breaks! The 3 trees I made were done over a few days, a bit at a time. This is on my to do list for Christmas! Thanks for sharing! I love romance because real life is gloomy enough – I need the happy in my fiction! And I love yours in pauctirlar because you have such a fun, modern voice. Congrats on all your awesome success! Hi! I’ve made my trees! Here’s my blog post all about them!